We are turn-key. Listening to your needs, we handle everything from demo to the finished product. Geared toward the investor. 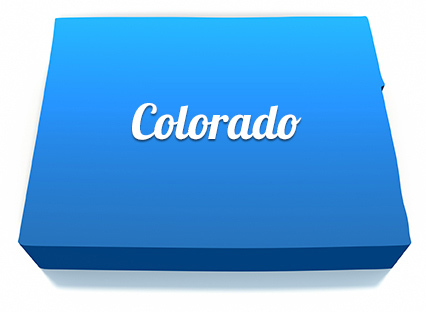 We have flipped over 300 homes in the Colorado Springs area. Building of custom decks to your specifications. We can fix or replace fencing too. Consider O'Shea Construction for any job... BIG or Small. From make ready's for REALTORs, painting, landscaping, plumbing, decks and more. Contact us and get a quote on your next home improvement project. "O'Shea Construction did a fabulous job on the painting of our lake house in Monument. Will use again." Why wait on your home improvement project? VPiX is the sole owner of the information collected on this site. We will not sell, share, or rent this information to others in ways different from what is disclosed in this statement. VPiX collects information from our users at several different points on our website. We will share aggregated demographic information with our partners. This is not linked to any personal information that can identify any individual person. We use an outside shipping company to ship orders, and a credit card processing company to bill users for goods and services. These companies do not retain, share, store or use personally identifiable information for any secondary purposes. We partner with another party to provide specific services. When the user signs up for these services, we will share names, or other contact information that is necessary for the third party to provide these services. These parties are not allowed to use personally identifiable information except for the purpose of providing these services. This web site contains links to other sites. Please be aware that we VPiX are not responsible for the privacy practices of such other sites. We encourage our users to be aware when they leave our site and to read the privacy statements of each and every web site that collects personally identifiable information. This privacy statement applies solely to information collected by this Web site. If a user elects to use our referral service for informing a friend about our site, we ask them for the friend's name and email address VPiX will automatically send the friend a one-time email inviting them to visit the site. VPiX stores this information for the sole purpose of sending this one-time email. This website takes every precaution to protect our users' information. When users submit sensitive information via the website, your information is protected both online and off-line. While we use SSL encryption to protect sensitive information online, we also do everything in our power to protect user-information off-line. All of our users' information, not just the sensitive information mentioned above, is restricted in our offices. Only employees who need the information to perform a specific job (for example, our accounting personnel or a customer service representative) are granted access to personally identifiable information. Furthermore, ALL employees are kept up-to-date on our security and privacy practices. Every quarter, as well as any time new policies are added, our employees are notified and/or reminded about the importance we place on privacy, and what they can do to ensure our customers' information is protected. Finally, the servers that we store personally identifiable information on are kept in a secure environment. If you have any questions about the security at our website, you can send an email to info@VPiX360.com. VPiX and related logos, images and names are trademarks or services marks of iPlan LLC or its subsidiaries. Other company and product names may be trademarks of the respective companies with which they are associated. The mention of such companies and product names on the Web site is with due recognition and without intent to misappropriate such names or marks.